Norway has suddenly found itself enjoying the economic effects of stronger oil prices and its weaker currency, the krone (crown). Just three years after the Norwegian economy went into crisis mode, when oil prices collapsed, a recent economic paradox is now expected to create thousands of new jobs in 2018 despite another fall in the housing market. The paradox arose last fall when oil prices started rising again but Norway’s krone remained weak. The krone normally strengthened when oil prices rose, since oil plays such a dominant role in the country’s economic health. 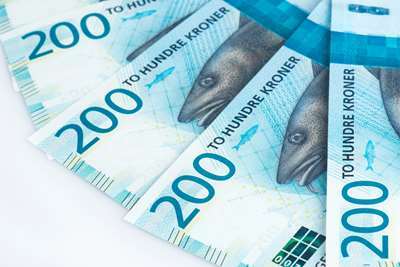 “It’s paradoxical that we have a nearly historically weak krone at the same time that we’re far from any crisis in the Norwegian economy,” Magne Østnor, currency exchange strategist at brokerage firm DNB Markets, told newspaper Aftenposten on Thursday. Harald Magnus Andreassen, chief economist at SpareBank1 Markets, also said that there’s normally a connection between higher oil prices and a stronger krone. The krone has strengthened this week, after the price of Norway’s North Sea crude oil crested USD 67 a barrel on Wednesday, but it was still trading at more than NOK 8 to one US dollar on Thursday. That’s been dubbed as “nearly historically weak” given ongoing signs of economic resurgence in Norway that now seems to be turning into a boom of sorts. Newspaper Dagens Næringsliv (DN) reported on Thursday, for example, that two-thirds of Norway’s oil-industry related companies plan to start hiring again. It cited how SR-Bank, based in Norway’s oil capital of Stavanger, predicts that 10,000 new jobs will be created this year in the southwestern portion of the country alone. 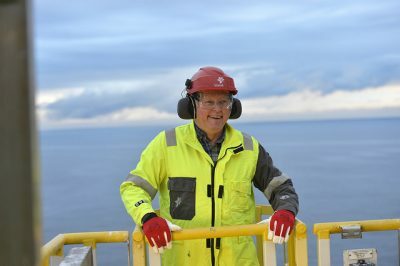 After years of layoffs forced by a lack of business, things are definitely looking up in the traditional heart of Norway’s oil industry. The bank surveyed 600 companies in Hordaland, Rogaland and the Agder counties. They’re encouraged by new oil industry activity, pumped up by the higher oil prices that have risen 45 percent just since June. That in turn has prompted oil companies like Statoil, which have dramatically cut their costs since the price of North Sea crude collapsed in 2014, to launch or resume new projects, creating demand for what the oil service industry sells. That in turn has ripple effects and boosts demand for everything from raw materials to business travel and restaurants. Higher oil prices, always quoted in US dollars, also generate more kroner (crowns) when the currency is weak. A barrel of oil selling for USD 67 generates nearly NOK 543 at today’s exchange rates, compared to NOK 402 when the krone was much stronger and traded at NOK 6 to the dollar. That pumps more of the local currency into companies with krone-based costs like state-owned Statoil, and more kroner into the state treasury. Thousands more jobs may be created in non-oil sectors as well, because Norway’s weak krone makes exports far more competitive. Newspaper Aftenposten reported on Thursday how higher oil prices are not only turning the oil industry’s downturn into an upturn, the weaker krone is good for all businesses in Norway that face international competition both at home and abroad. Norwegian producers can pare their prices abroad without hurting their bottom lines, or they can boost profits, or even both. The weak krone is good for all exporters of everything from forest products to metals, salmon, other seafood or even Norwegian sweaters and sporting goods. Tourism benefits as well, and has already been doing so for the past several years. Norway simply isn’t as expensive when its currency is weak against others. Economists and even the chief of Norway’s central bank have been scratching their heads since last fall over the weakness of the Norwegian krone at a time of strong economic recovery. Its weakness has mostly been attributed to investors’ concerns over the decline in the Norwegian housing market. Housing prices have fallen steadily for months, after years of rapid growth, and home sales have declined as well. Investors are also putting the brakes on homebuilding, as unsold inventory of new housing rises even as interest rates remain low. That trend continued when new housing market statistics were released by the national real estate brokers’ association (Eiendom Norge) on Thursday. Prices in December fell another 1.1 percent nationwide, and were down 11.5 percent in Oslo when compared to average prices in April when the slide began. Prices for 2017 as a whole were down 2.1 percent from the end of 2016. DN reported that housing experts attribute the downturn, which was expected, to four major factors: Homebuilding activity hasn’t been higher since the early 1980s, population growth has declined more quickly than expected, housing prices and household debt levels rose too high during the boom years, and buyers are much more cautious. Most agree that Norway’s high housing prices needed to fall. Investors fueled much of the growth, often at the expense of people who needed shelter but were thwarted by a lack of affordability. Several economists have said that lower housing prices can be healthy for the economy, and if that’s what’s kept the krone weak, all the better. The chief executive of housing federation NBBL (Norske boligbyggelags landsforbund), however, thinks prices will start to rise again this spring. “The Norwegian economy is improving and unemployment is falling,” NBBL chief Thor Eek told DN. “Interest rates are low and we think prices will turn back up again.” He said that NBBL’s “main scenario” is that the housing market will improve later in the year. NBBL is predicting annual price growth of 3 percent for 2018.